A week doesn’t go by in which the 32-year-old isn’t using the skills she learned in a Jhpiego-supported basic emergency obstetric and newborn care (BEmONC) program to address complications of pregnancy and childbirth. Excessive bleeding after birth, the hypertensive disorder eclampsia and obstructed labor are among the potentially life-threatening complications that she has identified and managed successfully. Through the Mothers and Infants, Safe, Healthy and Alive (MAISHA) Program program funded by the U.S. Agency for International Development, Beatrice and her nursing and midwifery colleagues at Buguruni have improved their maternal and newborn health knowledge, strengthened clinical skills and improved the quality of essential and emergency maternity care at the health center. That has led to an increase in women choosing to give birth at the facility, a key intervention in surviving childbirth, and fewer referrals to the local hospital. 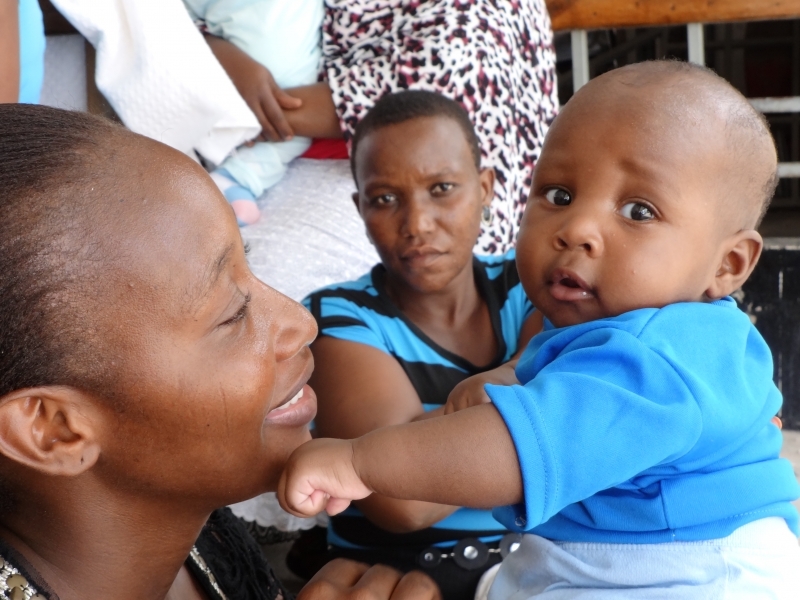 Another focus at Buguruni has been newborn survival, and through the Helping Babies Breathe (HBB) educational program, newborn deaths have been averted and reduced. HBB is supported by the Children’s Investment Fund Foundation of the United Kingdom. Deliveries at Buguruni have increased from an average of 10 per month when MAISHA started working with the facility in 2010, to 197 deliveries currently. More significant is the fact that no woman has died in childbirth since Buguruni health officials set out to improve the delivery of care and services. Ziada Sellah, the Dar es Salaam Regional Nursing Officer, attributes the facility’s achievements to a Jhpiego-developed quality assurance and improvement approach, Standards-Based Management and Recognition (SBM-R®), which engages the staff in identifying gaps in service, resolving problems and rewarding them for their work. Through SBM-R, the health facility has worked to ensure an adequate supply of drugs and equipment, improved infection prevention practices, provided mentoring and support to its nurses and midwives, and included staff in performance reviews. Improved newborn care at the health facility has helped ensure babies grow and thrive. 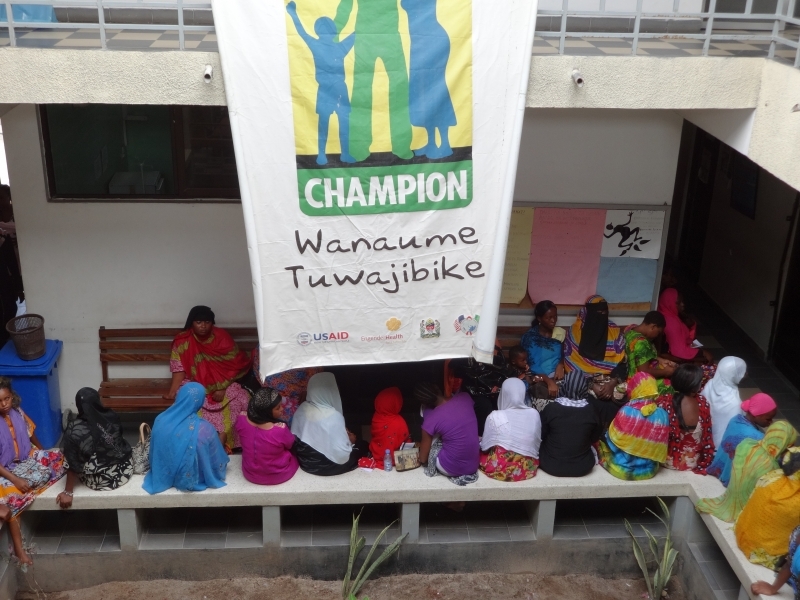 Tucked away on a narrow street in a bustling neighborhood of Dar es Salaam, the two-story health center is one of 16 participating in the MAISHA program. To keep women and families alive and healthy, Buguruni provides a package of integrated services, from focused antenatal care and HIV/AIDS counseling and testing to malaria prevention and treatment and child immunization. Although the facility is designated to serve about 80,000 residents in Buguruni Ward and its neighborhood, nearly 200,000 people from all over Dar es Salaam use the center annually. Improvements at the health center, the quality of care and the motivation of the facility’s 110 health workers have all contributed to Buguruni receiving recognition as a high-performing facility by the Ministry of Health and Social Welfare. “We want to thank Jhpiego for their support,” Ziada said during a recent visit to the facility. Mwanahamisi Kondo is one of the satisfied clients. She is one of 11 new mothers sprawled across four beds holding or nursing their babies, each wrapped in brightly colored kanga cloth. Mwanahamisi chose to give birth at Buguruni rather than at the health center closest to her home some 20 kilometers away. Anticipating that her baby would soon arrive, she says she went to stay with her sister who lives near Buguruni. When her labor began, the 23-year-old walked to the health facility. After examining Mwanahamisi, the midwives determined that her baby was “face first,” a potential complication that could result in prolonged or obstructed labor and put the baby at risk. Midwife Beatrice was on duty that Tuesday, March 18. With confidence, she and her colleague midwife, Flora Maghembe, assisted the birth by helping turn the baby’s head slightly and Mwanahamisi pushed him out. While Flora attended to the mother, Beatrice focused on the baby boy until he cried out. “We succeed, together!” she says proudly.